If you are planning to go to Thailand and do not want to stay at the crowded touristy areas such as Phuket, then the five-star resort Zeavola on Phi Phi island is definitely your dream place. Zeavola is the most luxurious resort on the north coast of Phi Phi Don. It is in a quiet part of the island. Sandwiched between Phi Phi Natural resort and P.P. 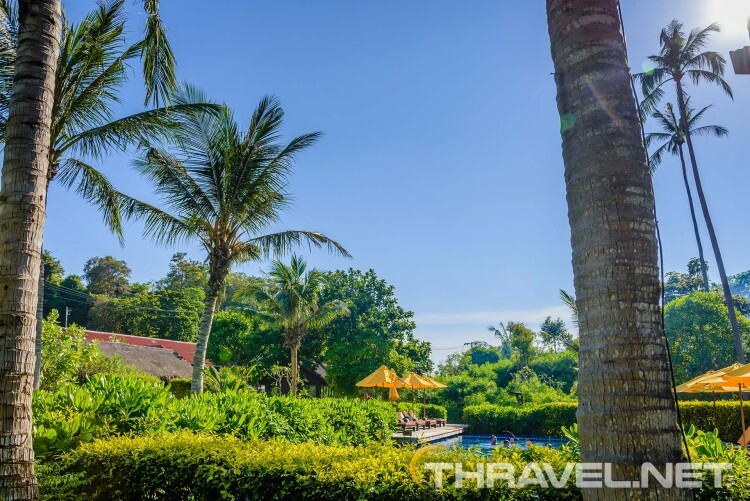 Erawan Palms Resort, Zeavola is situated at the west end of the Laem tong beach. 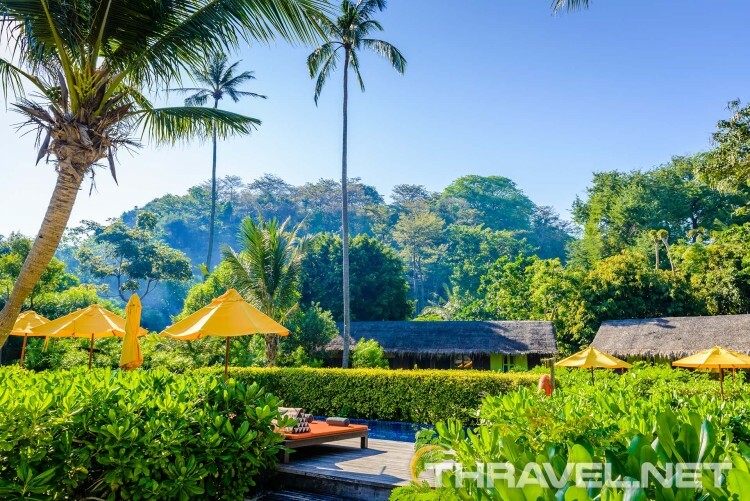 The hotel’s beach overlooks Krabi islands – Mosquito Island, Bamboo island, Railay beach, Chicken Island, Poda Island, Phuket island and even Koh Lanta. The five-star hotel is more expensive than the others on Laem tong beach. You have to pay more not only for the accommodation but for food as well. Still, the resort offers some exclusive services such as speedboats that pick you up from Phuket. On the south, the exclusive hotel overlooks a picturesque hill. On the north, there are fine white sands of a remote beach. Both the location and the service allow you to relax peacefully amidst exotic tropical scenery. What makes Zeavola one of the best Phi Phi island hotels are the gorgeous villas and the large outdoor living space they offer. 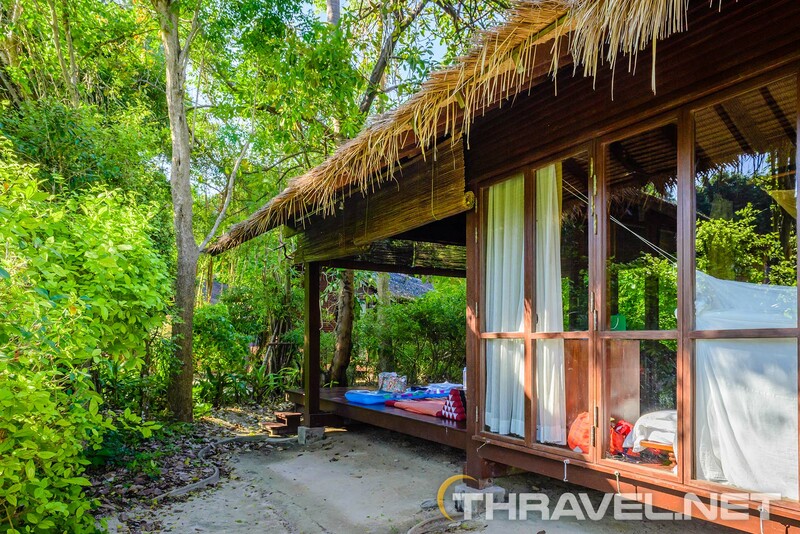 The teakwood suites are set among lush vegetation. Villas are surrounded by a kind of private gardens thanks to the high vegetation walls. 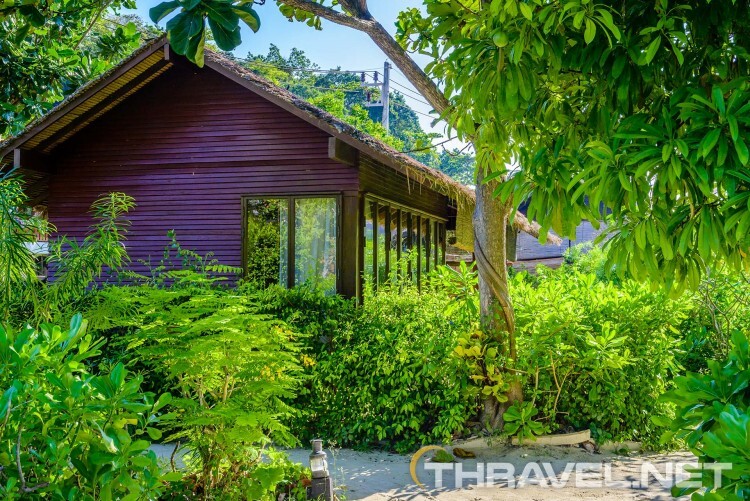 The villas are designed in the traditional Thai style. The large private outdoor deck features bamboo curtains. Out on the veranda, guests can use a double soft sunbed with Thai triangle pillows as well as a buffet with coffeemaker and a bar with refreshing drinks. The outdoor sitting area is completed with a bathroom which is also outside. Every detail brings you closer to nature. Beachfront suites are perfect for beach lovers. This type of accommodation offers a spectacular view on the emerald waters of Andaman Sea. Pool villa suites are also spacious accommodations nestled on a green slope. Their location is perfect for people wishing to stay away from the crowded beach areas. Village suites are located in a lush tropical garden. They also have a terrace with comfortable lounge seats. Romantic sand candles set between the beachfront restaurant Baxtil and the sea lighten the dining area at night. The restaurant offers typical Thai food as well as European and American cuisine. Some guests of the resort prefer the authentic ambiance of the small restaurants outside the hotel. They are 3-4 minute walk and are considerably cheaper. The resort features stylish outdoor swimming pool. It is designed with royal blue tiles. The pool is set in a secluded area, under the shades of tropical trees.